North Star Press of St. Cloud, 9781682010211, 338pp. When a teenage boy sets out to prove his bravery, he becomes trapped in an ordeal of survival and ignites a struggle with darkness from which he might never escape. In Perfume River Nights, eighteen-year-old Jimmy Miller, called Singer by his platoon mates, wants to confirm his courage in the trials of war, but he never considered how hard it would be to kill a man or what might happen if he did. He doesn’t think about death and dying. He only imagines the glory. But when a vicious North Vietnamese Army ambush engulfs Singer and his friends, everything changes. In the heat of battle, Singer confronts the terrible truth of war and discovers a frightening darkness within himself. His struggle to survive takes on a deeper meaning that tests his courage in ways he never expected. 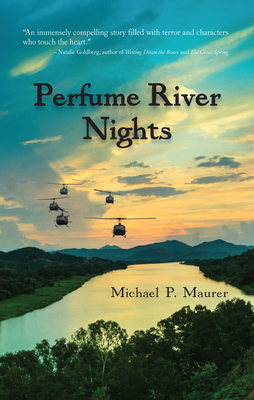 More than a war story, Perfume River Nights is a tale of tragic events and the heroic quest to know ourselves and find our way. Michael P. Maurer is a decorated Vietnam combat veteran. At the age of seventeen, he enlisted in the army paratroopers and served in Vietnam in 1968-1969 as an infantryman with the 82nd Airborne Division. A University of Minnesota graduate, he moved to Vietnam in 2003 and lived in Asia until 2012. He currently lives in Minnesota. Visit Michael at www.michaelpmaurer.com.